Celebrate your love! 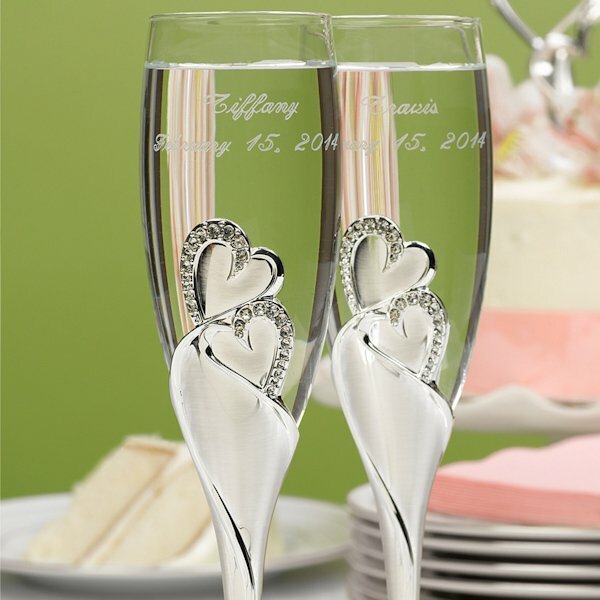 A pair of sparkling hearts on silver plated stems make these toasting flutes a gorgeous addition to your wedding day. 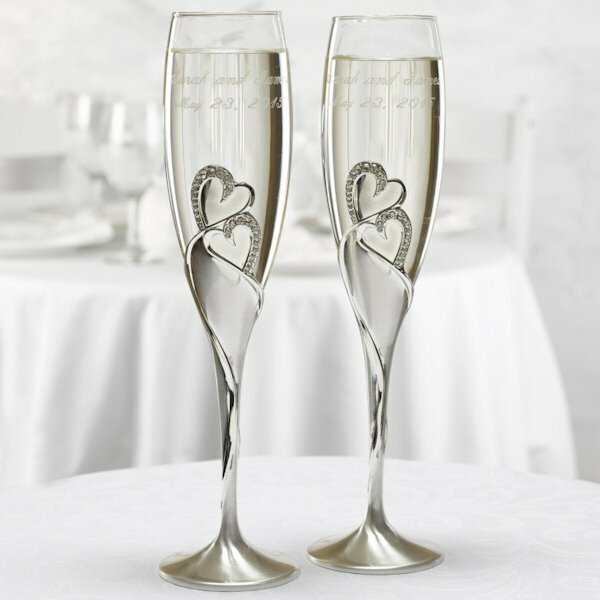 They will become a special keepsake to be enjoyed for many years to come as you toast each year together. 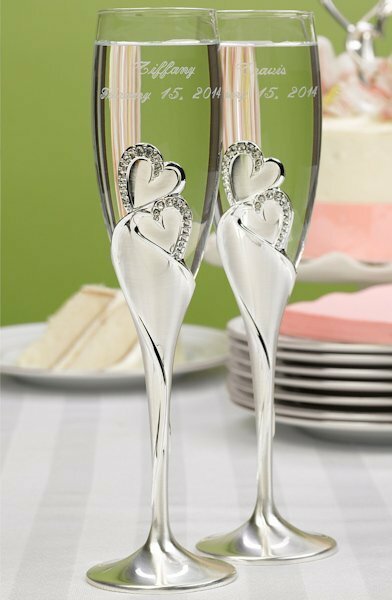 We also sell the matching cake serving set separately. 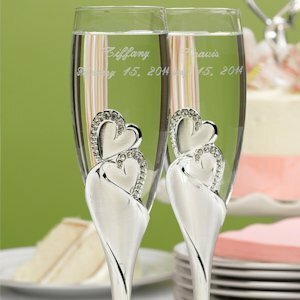 The 9-3/4" tall flutes can optionally be personalized with a single initial or the bride and groom's names and wedding date. 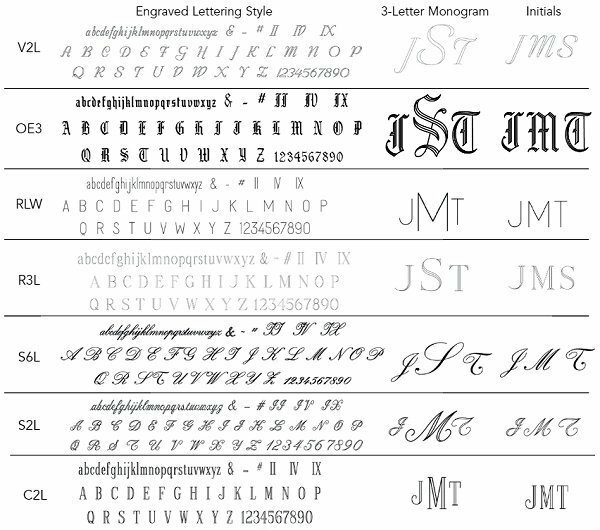 You may choose a specific style of engraving and font style during the checkout process. 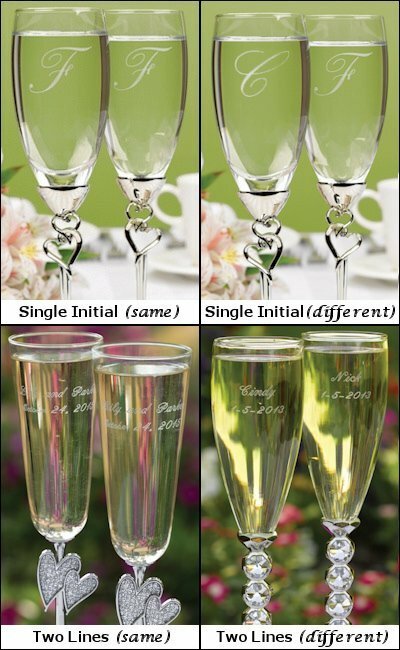 Sold in a set with 2 glasses. NOTE: Size of engraving may vary due to number of characters entered.